Bodyworx Chiropractic PLLC (Forest Hills) - Book Appointment Online! 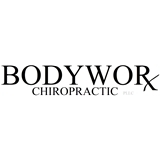 Located in Forest Hills, New York, Bodyworx Chiropractic PLLC offers chiropractic and physiotherapy services for the treatment of neck pain, back pain, general muscle aches & pains, sporting injuries, headaches etc. The experience was amazing. It was my first time and I was seen right away even though I arrived a few minutes earlier. Dr. Boris explained the procedures he will be doing and taught me some at home exercises for my back after. The procedures were pain free and relaxing at the same time.